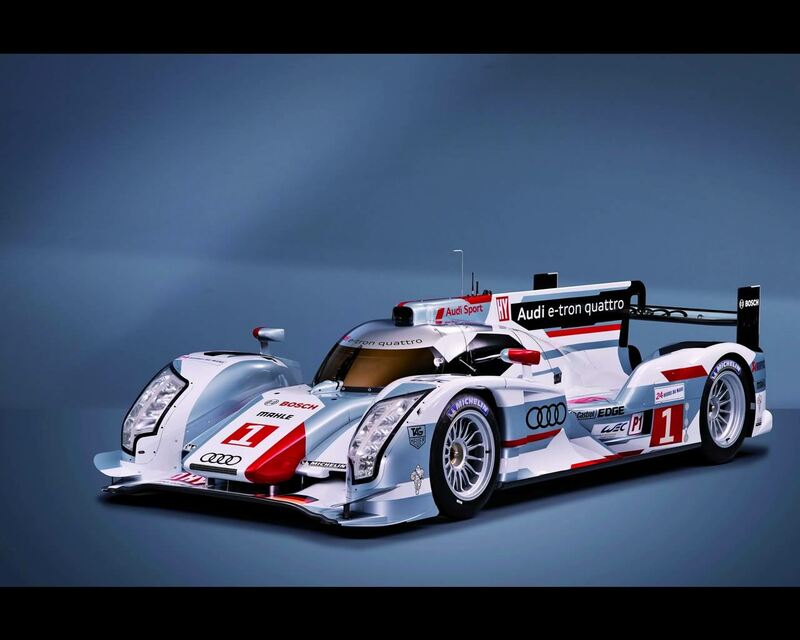 Audi has prepared the Audi R18 e-tron as a new challenge to win the 2012 World Endurance Championship where some hybrid solution are allowed for the first time. 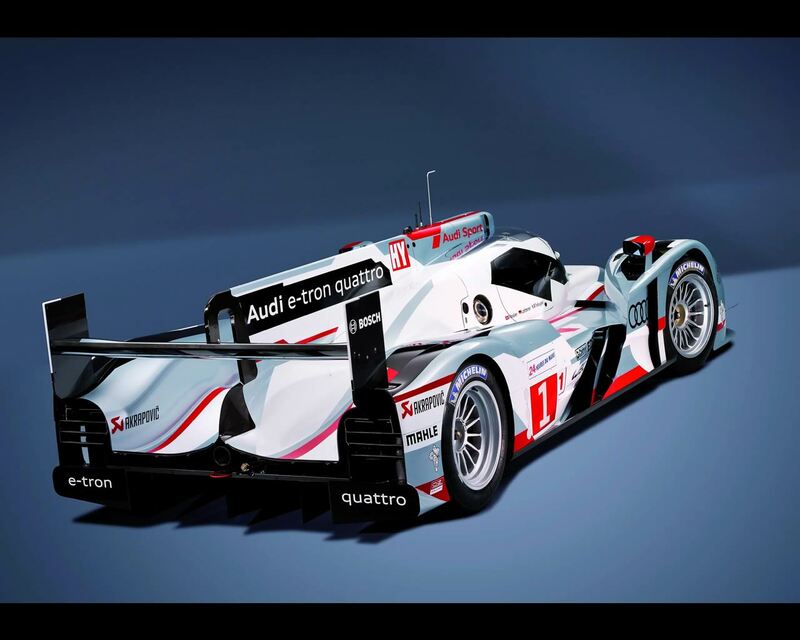 After winning the 24 Hours of Le Mans, the Audi R18 e-tron is accumulating winning positions and is on the way to win the 2012 World Endurance Championship. 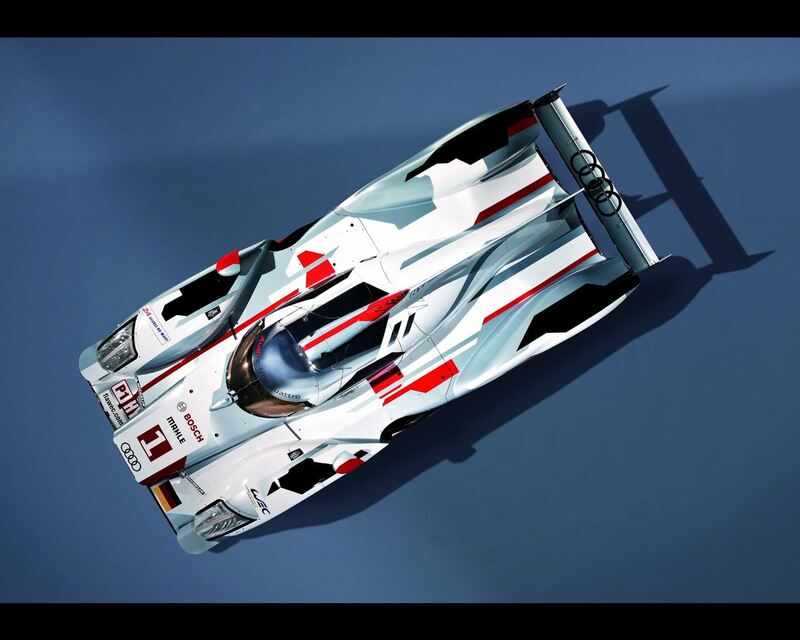 From 1981 to 1997, Audi won four titles in the World Rally Championship, clinched three victories at Pikes Peak, a championship win in the TRANS-AM, two DTM titles and eleven national Super Touring Car Championships plus a Touring Car World Cup with quattro models. For the first time since the 1998 ban an all-wheel drive model is now allowed to compete in the FIA’s circuit racing program. 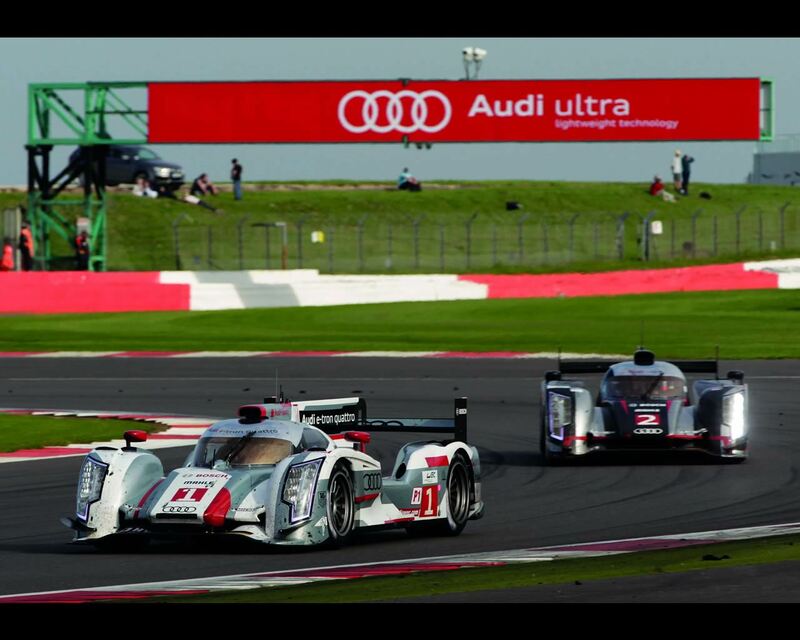 Yet what sounds like a simply return has been one of the biggest tasks ever tackled by Audi Sport to date. Packaging an additional front-wheel drive and a hybrid system into a sports car is particularly difficult due to the space conditions. With a width of two meters and a length of 4.65 meters the car has large outer dimensions. But underneath the outer shell there is a monocoque construction which in motorsport has been quite classically optimized for totally different aspects than the integration of a drive axle and incorporation of a hybrid system. 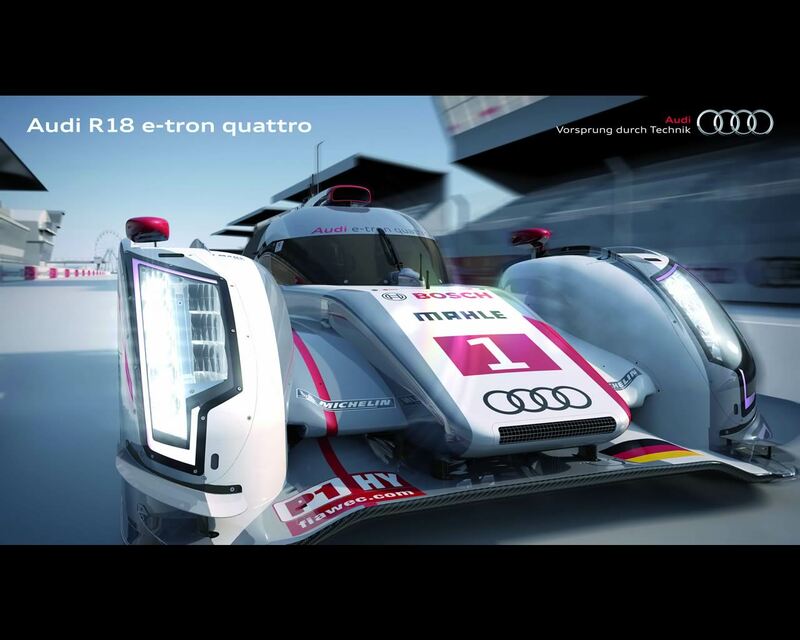 Consequently, the achievements of the engineering team that has made the hybrid front-wheel drive reality are particularly impressive: for example, because the entire drive unit is installed inside the carbon fiber structure for optimal protection. 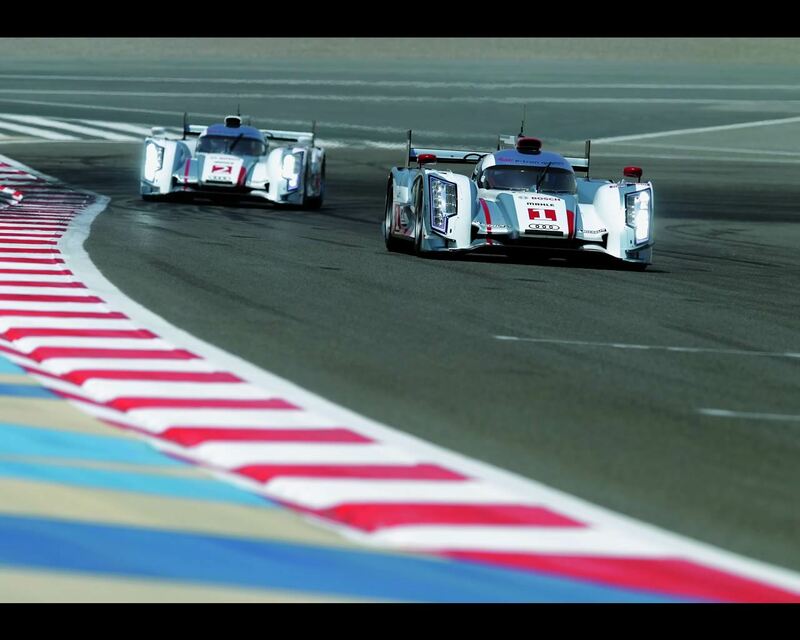 Or because the monocoque has been stretched in forward length compared with the predecessor model. This shortens the crash structure in front of it which still has to successfully pass all crash tests, though. Or because of the extreme proximity to the driver, which requires special protection measures. Or because of the weight, as every gram counts in motorsports. Or because of the performance capabilities. Never before has such a small and light-weight system recovered so much energy. With support from system partners, Audi has achieved a particularly compact MGU (motor generator unit) on the front axle. During energy recuperation, which is fully electronically controlled, drive shafts transmit the power to the inside of the MGU where the kinetic energy is converted into electric power during braking periods. The principle is similar to that of the commonly known dyno – albeit with extremely high energy flows. Converters integrated into the housing transform this energy from alternating into direct current which in turn drives a rotating mass storage device located alongside the driver. The energy is stored by the current accelerating this carbon fiber flywheel which runs in a high-vacuum to as much as 45,000 revolutions per minute. After cornering, this energy is available again to power the electric motors of the MGU unit which in turn drive the front wheels. Up to 150 kW of short-term power (204 HP) can be supplied to the front axle. At the same time, the number of braking zones is specified by the FIA for each track. The prescribed 58-liter fuel tank capacity of the hybrid vehicle is two liters less than that of the conventional car. Last but not least, the amount of energy that may be recuperated between two braking zones is limited to 500 kJ. 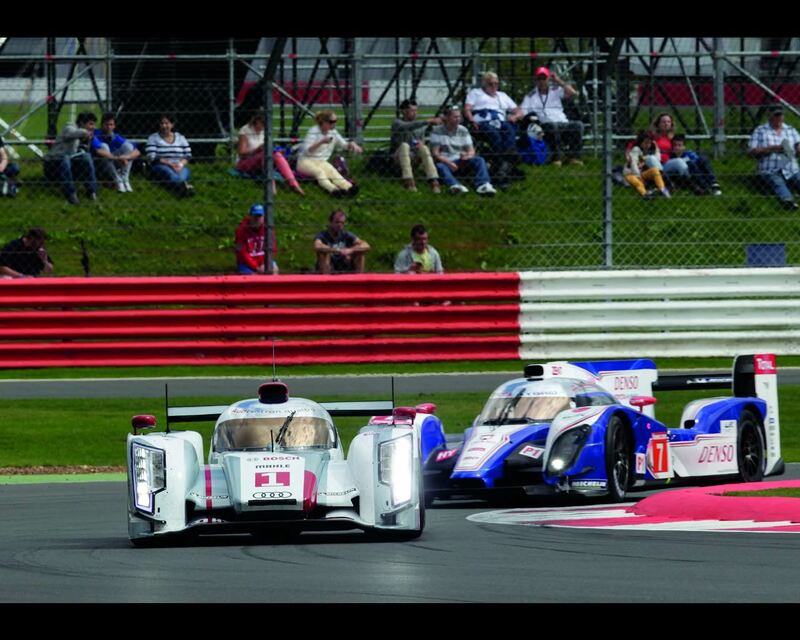 “The FIA defines these intervention options for itself in order to create a balance between the hybrid vehicles and the conventional models. The effects vary from track to track and are difficult for us to judge at this point in time,” says Dr. Ullrich.